Your development may not need to go through the entire development process. If you are building or renovating, you will need to find out whether you need approval for the works. Some forms of low impact development do not need a Development Application and may be able to be carried out as Exempt or Complying Development. Many types of small building projects and home renovations do not need development approval. 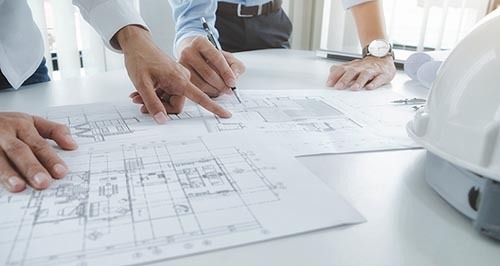 If the building project meets specific development criteria and land requirements, the development can be carried out as Exempt Development where no building approval is needed. Visit the Exempt Development webpage on the NSW Planning Portal to determine whether you can undertake your project as exempt development. Other forms of low impact residential, commercial and industrial developments may qualify for a fast track approval process known as Complying Development. If the application meets specific development criteria and land requirements, a Complying Development Certificate (CDC) can be obtained within 20 days or less through Council or an accredited certifier. Visit the Complying Development webpage on the NSW Planning Portal for more information. If your development does not qualify for Exempt or Complying Development, it is likely that a development application is required to be submitted to Council for approval. The NSW Planning Portal has developed a new eModule, a short online course which provides information on exempt development and complying development. The Module is a valuable resource to home owners, businesses, builders and building designers wanting to learn more about exempt and complying development.